One of my favorite things to do while I wait is to save money. I went through a whole phase where in which I tried to catch on to the whole couponing craze— and in theory, couponing is awesome but, where in the hell was I gonna keep my stockpile of 50 million rolls of toilet paper and 75 thousand boxes of tampons?!?!! 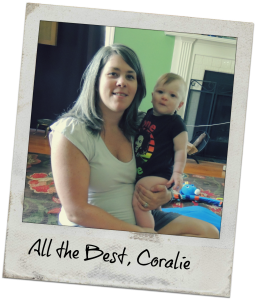 Stockpiling is just not feasible for my little family. I figured out I am more in tune with saving money the way Rachel Robinson explained in her guest post way back in April of this year. I also like saving money by making homemade versions of stuff we use around the house. I have made homemade liquid hand soap and body wash for Bub- both went over like led balloons. And I have made homemade shaving cream, which I love- I really love better than the store bought stuff! I attribute my love for it because it has lotion and baby oil in it which leave my skin feeling great. I have also have made and continue to make homemade laundry detergent powder. 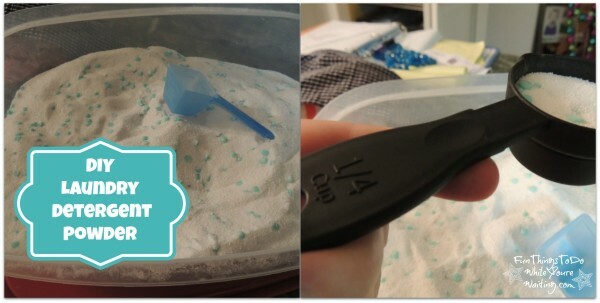 I started out making homemade liquid detergent but… I figured out that as easy as that was, homemade laundry detergent powder was much easier and 10 times faster to make. 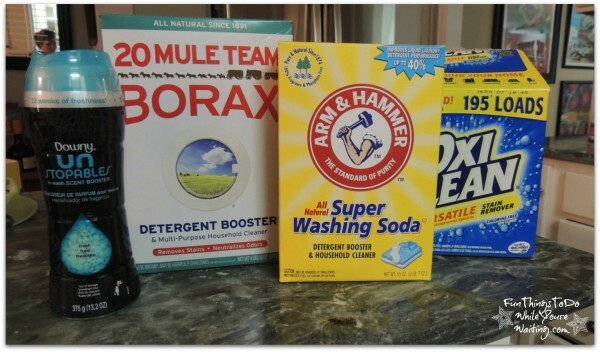 The recipe is very easy to follow: I box of Borax, I box of washing soda, I can of Oxi Clean. It works great. Bub agrees that this formula works great on getting our clothes clean but he did not think they smelled clean— so, I added one package of the scent booster and Bub was happy. This time, I had bought the Oxi Clean at Sam’s Club, so I added 3 cups. You combine all 4 of these in a bucket and stir and what you have is some awesome laundry detergent powder. I use the little blue scoop that comes with the little can of Oxi Clean. So, I use a little less than 1/4 cup of this powder per load. One batch of this lasts us roughly 6 months and I paid $12-15 for all of it. My mom said this is good because we do a lot of laundry. So, take that with a grain of salt. Mix it all together and it's ready. Try this out, you’ll like it. Previous Article← Colour My World: Let’s Get Painting!